This is a new page on my site and I will be updating this page on a regular basis with new journal writing prompts, journal writing topics and ideas. Journal writing prompts can have several purposes, but the ones on this web page will be for the purpose of sparking memories from one's life through creative writing prompts. I also would like to invite you to submit some of your favorite journal prompts, in the form provided below. Also feel free to respond to some of the prompts on this page, via the form as well. Basically a "mining" of your memories. Are you ready? 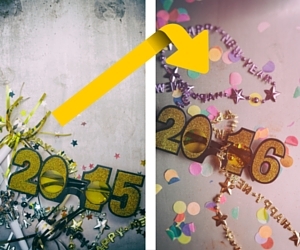 Your responses (private or public) will help you piece together events from your life. Then the preserving of stories from your life will be easier. The journal writing prompts on this page will get you started and really thinking about the great life that you have lived so far! Look at your life as a play and you are, of course, the lead character. Just as a play doesn't happen with just one person, neither does your life. There are many "supporting actors" in your life story. A great idea for journal writing prompts is to describe those in your life. One of the simplest ways to do this is respond to the following "award show" type questions. As you give the "winning nod" to a particular family member, consider elaborating on why you choose to "give" that award to that particular member of your family. Keep going. As you think of more "Awards" keep assigning them to members of your family...or friends if you wish. Always remember, that it is the story behind that actual answer that is the goal here. Why do you say that Aunt Joan is the "Most Generous"
Whether you like Barrack Obama or not, you are living in historic times. Your descendants may want to know your thoughts and what you were doing during this historic time in history! Below are journal writing prompts dealing with your memories of elections and politics. (NOTE: The wording of these prompts were created with U.S. politics in mind, but if you reside in a different country, just alter them to make sense for your location and country). List the presidential elections that have happened during your lifetime? Of those elections that you remember, what do you remember most about each? Which election was the first that you participated in (actually voted)? On January 20th 2009, president Obama was sworn in as the 44th President of The United States. What are your thoughts? Have you ever participated/volunteered (or wanted to) in a political campaign of any kind? Give details! These Prompts Have a Theme of "PLACES and LOCATIONS"
that you like particularly well? prompts that are already on this page? I promise to use it only to send you Family History Help & Product Review. Keep a Journal on Your Computer. WRITE, ORGANIZE, REMEMBER, FIND. Download your copy and start in minutes! Learn More. 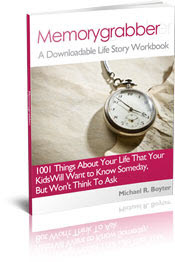 "A 321-Page Downloadable Fill-in-the-Blank Life Story Workbook"
1001 Things about Your Life That Your Kids Will Want to Know Someday, but Won't Think to Ask. Download it and Start Filling in the Blanks!